Years ago, tattoos signaled nonconformity and originality. Body art, now a very mainstream trend, is considered socially acceptable by most, especially the millennial generation. The first evidence of tattoos were in depictions of ancient Polynesian cultures and on the statues around Easter Island. The meanings of these tattoos are widely debated, but most scholars agree that in ancient cultures, tattoos were used as a way to describe a person’s rank in their society. Different cultures had different methods of tattooing and had different tattoo types according to their traditions. Today, needles, not a bone, are used to puncture holes in the skin for tattoos. While other technologies have advanced, so has the technology and reasoning for tattooing. They have become pieces of artwork, memorials and identifiers — ways for people to make themselves unique. Pew data from February 2010 shows that nearly four in 10 millennials have tattoos. Pittsburgh offers a wide variety of tattoo shops, featuring different price ranges and design options. 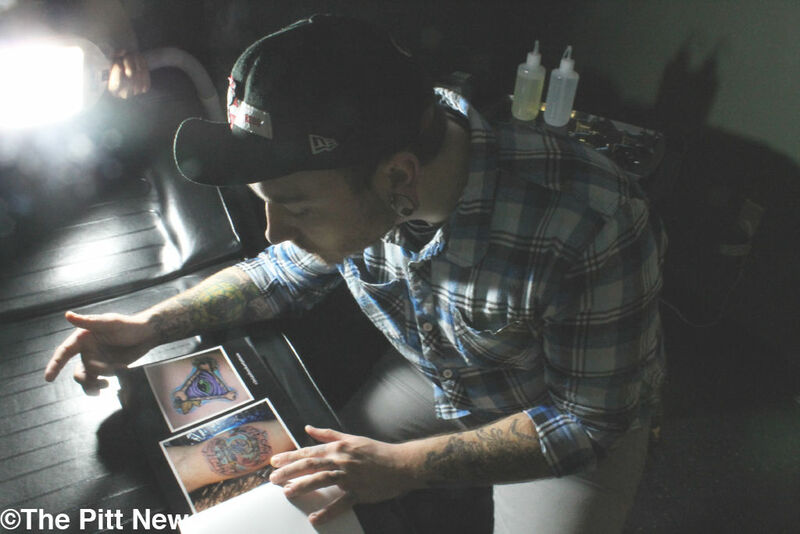 Below are a few featured shops and Pitt students’ stories on their tattoo experiences. Hours: Monday-Saturday noon-8 p.m., Sunday noon-6 p.m. Hours: Monday-Saturday noon-8 p.m. Sunday noon-6 p.m. Hours: Monday 1-8 p.m., Tuesday-Saturday 1-9 p.m. Hours: Monday 11 a.m.-6 p.m., closed Tuesday-Wednesday, Thursday-Saturday 11 a.m.-6 p.m. Sunday 12:30-6 p.m. Hours: Monday-Friday noon-9 p.m., Saturday 11 a.m.-9 p.m., Sunday noon-6 p.m. Hours: Monday 10 a.m.-9 p.m., Tuesday noon-9 p.m., Wednesday-Thursday 10 a.m.-9 p.m., Friday-Saturday noon-10 p.m., Sunday noon-6 p.m.